Noun means the “name” from the Latin nōmen, and indeed it signifies the name of the object, to describe the specific thing or the number of things, such as people, animals and other living creatures, objects, places and actions, certain qualities, features, forms and states of existence, or ideas and thoughts. Noun is the part of the sentence, speaking linguistically it is the main part that appears like the object of the preposition or a verb. In Sanskrit the word classes were present starting from at least the 5th century BC. The ancient Greeks had the equivalent which was called ónoma (ὄνομα), and meant Plato in the Cratylus dialog. Later it was featured like one of the 8 speech parts of in The Art of Grammar, referring to the Dionysius Thrax (2nd century BC). In the English language the term is signifying the word “name” as well. Do you think you know it all? Go through the short quiz featuring 10 noun-related questions and find out if school knowledge is still fresh in your memory! Identifying nouns quiz will tell the truth! Of course, you will be the one committing the errors and major mistakes in nouns and grammar in general if English is not your first language, it is involuntary thing that pops up in the moments when you least expect it and the noun is the first obstacle you will start to stumble upon according to some practices, unless you learn the top issues occurring with nouns that spoiled numerous of papers and web contents. Find here top noun questions and answers that will make your writing easier, hurry up and get familiarized! Q: What Does Noun Mean? A: According to the Cambridge dictionary definition a noun is a word that refers to a person, place, thing, event, or quality. Noun belongs to the four major word classes, such as verbs, an adjective, and adverb. Belonging to one of the most massive word classes nouns take various forms but it is not easy task to identify them using their form. Word endings can give you a great hint that the word is a noun, about noun forms read the information below. “Cookie”, “taste”, and “smell” all belong to nouns. An example of a countable noun is “cookie”, and an example of an uncountable noun is “advice”. “Family” and “flock” belong to the collective noun group. Q: What Noun Clause Is Better to Use? A: An independent clause that performs like a noun is called a noun clause. 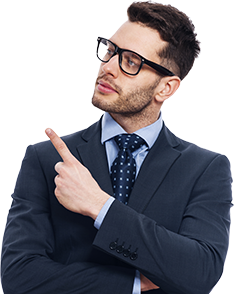 You can identify the noun clause by the beginning, they start with who, whatever, which, how, whoever, when, whichever, whomever, where, what, whom, that, why, whether. Noun clauses can also act like object or a preposition, usually, however, acting like direct and indirect objects and subjects. Whoever came up of that thought is a good thinker. On the party, he can eat whatever he wants. Q: How to Identify Noun Phrases? A: In the noun phrases there are two components of the sentence – the noun and the pronoun, the pronoun is called the head and the dependent words come after or before the head. The dependent words are used to provide more specific information about the head. Sometimes a noun phase can act like a subject, like a direct object, like the object of a preposition or an indirect object. A white house, a skate board, the shining surface. In all if these 3 phrases you can find 3 nouns (house, board, surface) but the other words that are used change the noun. Here the noun phrases act like a subject. Here is the example of the noun phrase acting like a direct object. Do you buy a white house? Sandy rolled on a skate board. Lisa gave the little boy a candy. That was a noun phrase that can act like an indirect object. Q: How to Understand the Plural Nouns Formation? A: In order to compose a plural form of the noun add the ending -s to the singular form. Add -es to the singular form of the noun in case the ending of the words looks like -s, -sh, -ch or -x. The nouns having an -o ending are also formed by the same scheme, by adding -es at the end of the word. But it doesn’t include all of the nouns ending with -o, some words of the kind have -s ending as well. Some nouns change their -f endings into the -v to turn into the plural form. 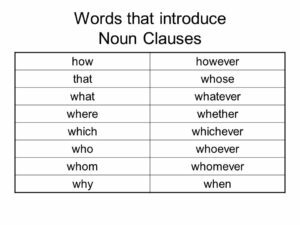 Q: How Noun Clauses Are Used? 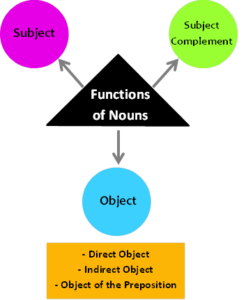 What Are 4 Different Functions of Nouns? Cookies is my favorite food. Can you give me the cookie? I asked about why Jake wanted to eat cookies. Happiness is whatever just came out of the oven. Nouns can perform almost any job when it comes up to building sentences as can be seen from the noun sentence examples. Sometimes nouns appear to be playing the role of the subjects, sometimes they come as direct objects or objects of the prepositions. When you figure out how to identify and use them properly there will be no grammar obstacle for you on the way to the perfect sentence structure. Noun grammar rules make you loose your marbles? That’s not a trouble as long as you know how to check the nouns online!